Forgot to add the last review from 2013. Whoops! All the holiday travel scrambled the brain. Several years ago I read a very nice young adult fantasy series by Libba Bray. The overall big picture was a great story but there were certainly some stumbling blocks to me giving the series 5 stars. I was very interested to see where Ms. Bray was writing these days. I was quite impressed. The first novel certainly hooked me in for more of the series. There is a decisive, climatic ending. However, this is followed by a brief set up of clues left throughout the book and some new teasers for the next adventure. I was quite pleased with this literary device. I haven't seen it in many books so maybe that contributed to my liking the format here. Ms. Bray certainly has come along quite nicely as an author. The Diviners takes place in New York during the roaring 20s. I really felt like I had been transported back in time. The language, the landmarks, etc were all clearly researched. My only complaint is Evie's catchphrase (and the insane amount of leading characters being named Evie these days), which is not very appealing and shows up a little too frequently. 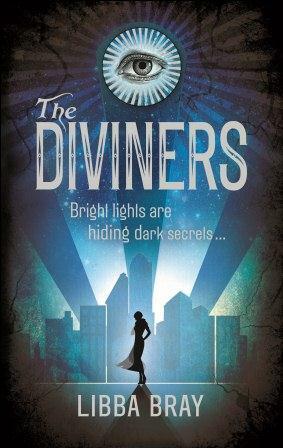 This is more of a science fiction addition as it revolves around supernatural entities and powers for the Diviners. The whole novel really worked for me because of all the realism. Each character has excellent story development without taking too much away from any of the others. They were very well balanced. The overall "theme" of us versus the mysterious paramilitary group in black is a little overdone, but this novel I found very interesting to read. I enjoyed all the story from start to finish. I would give this novel 4 stars for making me feel like time travel and real characters, and minus one star for worn out paramilitary mystery experimentation. Here is to the finale in Galbrieth!